This entry was posted on January 22, 2019 by chris elliott. 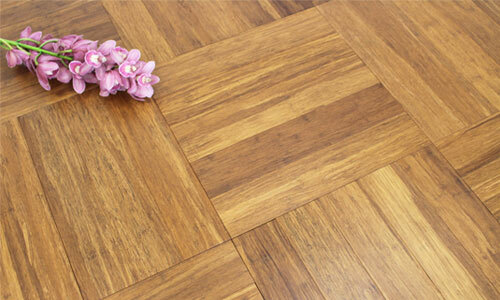 If your bamboo floor has been installed correctly the it should not be noisy. Of course, it won’t be as quiet as a carpet when you walk on it. You will notice some noise of the footsteps, but it should not be creaky or squeaky. If you are worried about noise from your floor, you may want to look at using a sound proofing underlay. They can greatly help to reduce noise from walking on the bamboo. They are especially useful if you are fitting bamboo upstairs and worried about hearing the footstep in the rooms below. Why is some flooring noisy? Having a noisy floor is usually due to poor installation. One of the main reasons for creaking and squeaking is an unlevel subfloor. The subfloor is the existing floor in your home. Before installing any Bamboo or wooden floor you need to prepare the subfloor. Checking that it is flat level and dry is essential. If your subfloor in uneven, the planks of bamboo will not have a solid base to rest on. This will put them under extremes pressure and can cause them to make creaking noises and over time they may even move. Another reason may again be down to incorrect installation. If your bamboo flooring has been nailed down incorrectly, the nails may have come slightly loose and cause the planks to move. This can make a creaking or squeaking sound. We always recommend consulting a professional floor fitter when installing bamboo flooring. One of the most important parts of installing bamboo, is to check the subfloor is of sound quality. It should be flat level, dry and clean, and tested before any bamboo or wood is installed. Have a look at our blog article on Preparing your subfloor.